We were back at the Alpaca Farm parking lot, surprised to see clouds in the sky as we began to set up. Clouds on the horizon were heavyish, moving quickly from north to south. Winds were moderate out of the NW. This was the first night I felt uncomfortably cool in shorts and short-sleeves as the night progressed. Fortunately, after about 45 minutes all clouds cleared and we were greeted by an immaculate desert sky. The 70% illuminated waning moon of Elul had just begun to rise above the hills of the hidden valley where the Alpaca Farm lies nestled. Although low and gibbous, it's light was enough to block any promise of deep sky viewing. So we turned our scope, an 80mm William Optics Megrez II on a Takahashi Porta Mount to Jupiter and later the Moon. Jupiter was excellent with the North Equatorial Band easily visible with some divisions. The South Equatorial Band has all but disappeared, but many other bands were visible in blue-gray colors up and down the planet. The darkening and banding of the North and South Polar Zones was readily visible. The best magnification we used was around 125x-150x. 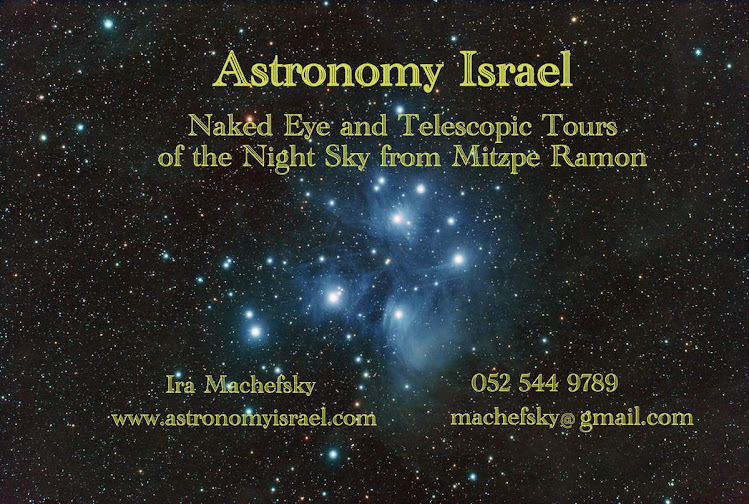 I tried out my relatively new University Optics orthoscopic eyepieces and was very pleased with their performance. If you don't insist on seeing their full field of view, which you don't really need for planetary viewing anyway, the eye relief is more than adequate. And since they don't suffer from field black out, it is quite easy to pull one's head way back and enjoy the excellent quality central views of these eyepieces. The surrounding sky is also quite dark, due to their excellent contrast. These may become my new favorite planetary eyepieces. 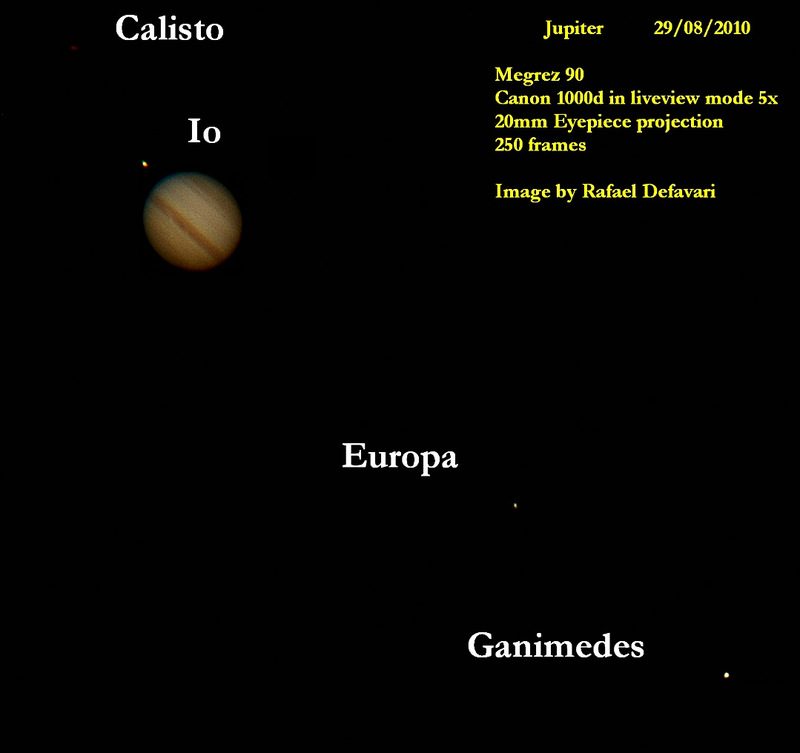 Below is a photo by Brazilian amateur Rafael Defavari with a 90mm WO Megrez refractor which is pretty much the view we had through my slightly smaller scope. Although I was getting somewhat tired, we decided to try the moon, which had since risen much higher in the sky. 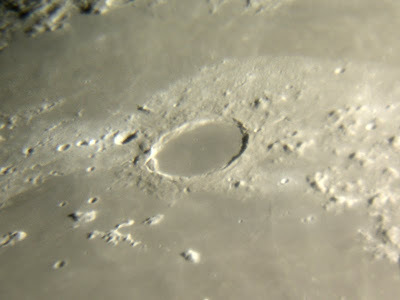 The waning, gibbous illumination was perfect for the crater Plato and its surroundings, including the Alpine Valley, and dramatic Mount Piton. 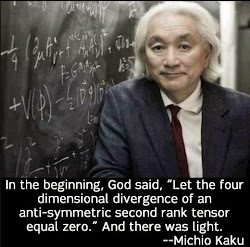 This unattributed photo is pretty much what Plato looked like last night, except our views were much sharper. 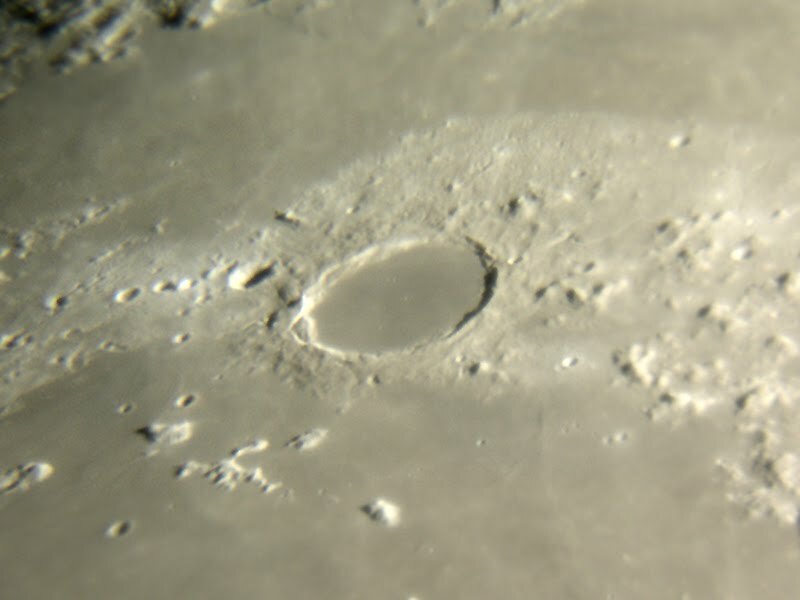 Unattributed photo of the walled plain Plato, with Piton prominent at 6:00.